Wednesday.—I was requested to call on Dr. M. Our interview ended in a favorable manner, for though he gave me but two fingers, and a long formal bow, instead of the hearty Irish grasp of the hand, yet he became talkative when I told him my object, and said I had chosen the only way to come at the truth; for Ireland had been wholly misrepresented by writers who had only looked at the surface of things. He took out his map, showed me the best route through the country, gave me some valuable information respecting the condition of the peasantry, and requested me to keep in view the condition of servants, as far as I could do so without prying interference. He recommended me to notice their sleeping apartments, and to see how many I should find wholesome and comfortable for human beings to lodge in through the night. 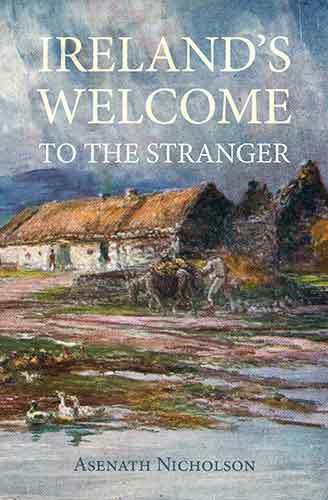 To my sorrow, in going through the south of Ireland, I found his words verified not only in the case of servants' lodging, but their food; eating their potatoes morning and night, when the master and mistress were abundantly blessed with the good things of this life. Thursday.—I called on Mr. Fleming, a temperance man, who asked me, "Have you really come to see the poor of Ireland, and do you expect or want any great dinners got up for you?" Assuring him that I neither wanted great dinners, nor great people to flatter me, he answered, "Be assured if you have come to see the poor, the rich will have nothing to say to you; and don't be disappointed if they not only treat you with neglect, but say many wrong things about you." Friday.—Visited the annual exhibition of the arts; and saw some specimens of taste beyond what I had anticipated. The bog oak of Ireland (which is found buried in the earth) when polished, and made into many articles of taste, is a beautiful specimen not only of the skill of the mechanic, but of the richness of this neglected island in its bowels as well as upon its surface. Here were chairs, tables, and small fancy articles of the most exquisite beauty, which were made from this wood. Among its highest ornaments was a standing "Father Mathew administering the pledge to a peasant," both as large as life; the peasant kneeling. The complacent look of the kind apostle of temperance is a happy illustration of the "peace and good will to men," which mark the footsteps of this unassuming man, wherever they can be traced.